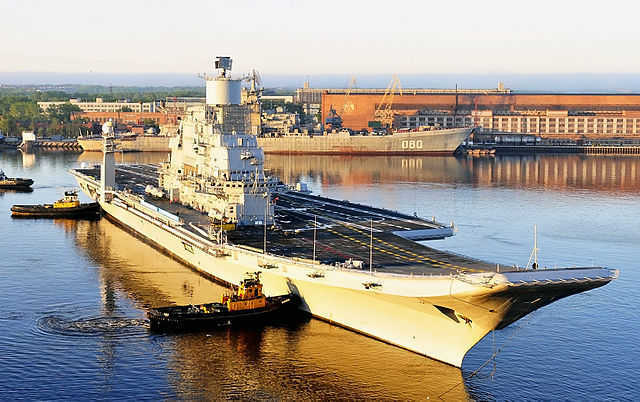 INS Vikramaditya undergoing sea trials in Russia, read more. Right after the independence when India was going to be the world’s largest democracy, India made a decision that no foreign power would be able to decide India’s future or its policies. This led India to become a founding member of NAM (Non Alignment Movement). It is the largest group of nations in the world after UN. One of the major policy of the group was to not to join either U.S. led western bloc or Soviet Union led eastern bloc during cold war era. Although Cold war and Soviet Union do not exist now, but the NAM still exists with the same policies. When India’s arc rival Pakistan signed security pact with United States, India’s relations with Soviet Union became sweeter for obvious reasons including arts and culture and India’s growing military needs. Although, India never joined Soviet Union’s security pact formally, west had observed India’s slight alignment towards the socialist republic resulting into complex relations with western powers. Today conditions are way much different. While India still enjoys the company of its all weather friend Russia, United States too has discovered that partnership with India has a great economic and strategic potentials in 21st century. At this, India has two options to keep its non alignment policy intact; either do business with both of them, or don’t do business with any of them. Latter sounds a bit non productive in this globalized world. Earlier, Russia enjoyed the monopoly of supplying arms to India, now it has to compete with almost all other major arm exporters like France, Britain and the United States. 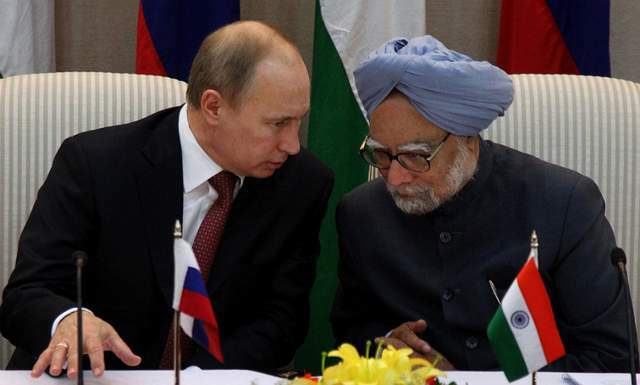 Raising concerns in Russia over India’s increasing alignment towards west. 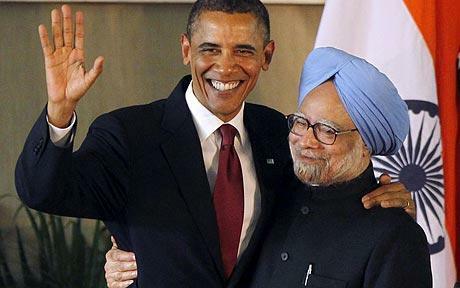 Realizing that India was cozying with the United States and Pakistan’s relations with the U.S. were souring. Russian president Vladimir Putin scheduled a visit to Pakistan risking relationship with India, which was later cancelled at the last moment. It was last year only when a report made clear that India was still the number one user of Russian arms. One of the reasons why Russia is pitching towards making India an important partner is India’s location at the centre of Indian Ocean. Last year America announced that it is shifting its focus towards Asia Pacific from the middle east. This means a large presence of Indian and Russian navy in the region would be required to neutralize any attempt by America to influence the geopolitic stance of the island nations. Seeing India cozying with America, Russia tried to approach Pakistan in search of a new potential partner in the South Asia. However, Russia probably decided to stay with India and push even more to win India’s heart by competition. The reason behind this is that unlike in Soviet era, when Indo-Soviet relationship was mere a buy and sell relationship. Today, India and Russia have successfully identified areas of cooperation and 50-50 partnership, whether it is space research or military and civil development. It is difficult to find a partner as scientifically advanced and economically sound like India. India has been funding a lot of Russian scientific projects with a huge amount of capital; something which Russia cannot expect from Pakistan or any other country in the region. Indian scientists have also been involved in development and manufacturing of world’s fastest cruise missile, Brahmos and Indo-Russian Fifth Gen Fighter Aircraft. Russia and India have also been exploring cooperation in space and have partnered in India’s second mission to the moon which has been delayed till 2016. Another country with which Russia can have such kind of relations is China. China has economy larger than India and is ahead of India in many areas whether it is scientific papers published per year, or space race or military. Russia emphasized a lot on Sino Russian relationships and their future as forming a big powerful region. Russia promoted Chinese education and language in the country and urged people to learn it. Russian media time to time lauded China how it is taking on west in the economic system which is mainly dominated by the western countries. Considering everything, India deserves to be Russia’s top priority. Russia simply cannot afford to let it lose India to the western powers who are aggressively hailing and praising India and forming ventures and partnerships. Last year in 2012, U.S. Defence Secretary Lionel Panetta made a visit to India hoping that Indian defence establishment could be taken granted to prepare for strategy of re-balance in Asia Pacific that many believes is aimed at China’s rise in the region. Recently India has started looking towards U.S. for its defence needs leaving its old and trusted ally behind. India cleared its biggest ever defence deal with US in June, 2011, signing the $4.1 billion worth contract for 10 C-17 Globemaster-III giant strategic airlift aircraft. 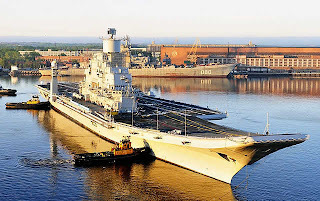 One of the reason why India has to look towards west was delay in delivery of arms and weapons and their parts by Russia, especially the delay in the delivery of aircraft carrier INS Vikramaditya. In the global slowdown of economy, U.S. is looking for new markets and economic partners. This is why U.S. had urged India to bring reforms such as FDI in retail and airline business which will help big brands in America like Walmart earn more profit by tapping a consumer market of the billions of Indians. India’s share in the world’s software/services market is third after U.S.A and Japan in which U.S.A accounts for a share of 51.63% in India’s total export of Software / Services. Although officially not accepted yet, U.S. considers rise of China alarming and sees it as a potential rival. U.S has tried to engage with China on a lot of issues and had also managed to bring China to its side during Cold War, but as the rise of dragon began, America lost it from its grip. India, which is a democracy having a good proliferation record and which has shown signs of peace and friendship with almost every country in the world, looks reliable and responsible in a sense that it can lead the world neutrally. This was one of the reasons why the U.S. has recently stared pitching for India’s permanent seat in UN Security Council. After a great mistrust between the two countries during the cold war, today both the nations understand each other’s interest. Recently United States’ regional interests in South Asia have somewhat started matching with India. Its souring relations with Pakistan, creating a Taliban free Afghanistan, and checking China’s alarming growth has all been directly or indirectly in India’s interest. The only place where India and U.S.collide is Iran. India wants to continue trade and support Iran and use its territories and ports for trade with Afghanistan, thus bypassing Pakistan. Whereas, U.S and the western world is making business opportunity with Iran even more difficult. Who Among United States or Russia Will Win the Race? The question is very interesting, but its answer is obvious, no one! India has been following the policy of non alignment since the day of independence. Even though the real meaning of non alignment lost after the collapse of Soviet Union, India believes in having its own space when it comes to making policies or decisions. If India accepts the alliance of any country, the first strong reaction will come from China, who considers any move by India aimed at itself, whether it is increasing cooperation with Japan or Taiwan. China and India both are aware of each others rise and the amount of tough competition they are going to face. However, both of them try to ignore it and play it down to avoid any escalated tensions. Another reason why India will not accept U.S proposal is that U.S has a bad history of dumping and going against their own allies whether it is Iraq, Afghan militants, or Pakistan. India will definitely pose a risk to America’s dominant position in the world as China does now. Therefore, U.S would try not to let India reach that place; just like how it did with Japan and South Korea. If India becomes strategic ally of the U.S it will unnecessarily make all the U.S enemies as its enemies. India is surrounded by the countries who do not like the U.S; be it China, Pakistan, Myanmar or the Middle East. Tensions across India will increase and it will have to fight decades long wars initiated by the U.S. India has not used its military properly for past 40 years after the war of liberation of Bangladesh in 1971 and in future also it doesn’t wish to; Kargil in 1999 was a confined military operation. Russia on the other hand has won India’s trust several times, but India will still not venture into any such strategic alliance which can impact India’s business with the western world. A large part of India’s economy is based on trade with America and Europe whether it is software or food or minerals. India’s alliance with Russia can give a negative impact to the U.S which will gradually look for alternatives that can bring the whole growth story of India to a halt. Word “alliance” doesn’t suit the present conditions in the world. It was popular earlier when the world was divided into two blocs, today it is not the case. Today the world is multi-polar, although other poles are not as strong as the U.S. In this growing world, it will be best for India to take help and support from both Russia and the U.S and continue on its growing path keeping its non alignment policy intact.